Disputes in connection with your bank or lender which are not settled through the Financial Ombudsman such as Foreign Currency Loans or Interest Rate Swaps (“Hedging”). Banks will generally seek to control your ability to sue them through the use of draconian terms and conditions. 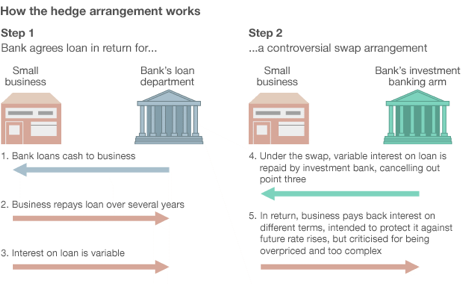 “Swaps litigation” – Litigation arising out of Interest Rate Swaps with consumers and small companies who looking to cover potential increases in their mortgage loans, entered into an Interest Rate Swap ( also known as an “IRS”) with a bank. Many people have been sold foreign currency mortgages by banks across Europe . There are differing factors applying in different countries and differing individual circumstances, most notably in Cyprus where British property buyers were advised to enter into these mortgages. At Christofi Law we are leaders in this area and can advise you how to bring your claim against the Cypriot Banks, developers , lawyers and Independent Financial Advisers ( IFA’s) who advised in the UK. Banks will generally seek to control your ability to sue them through the use of draconian terms and conditions. They may try and “call in “ a loan by alleging that their customer – particularly if it is a small business – is in breach of terms and conditions of a loan agreement or legal charge. This website is owned and maintained by Christofi Law Limited. Christofi Law Limited operates as a legal consultancy in conjunction with Christofi Wells & Co and operates from Temple which is in the traditional legal and business sector of London – often referred to as “the City”. Christofi Law Limited may also offer legal consultancy services in conjunction with any other legal firm. Our primary areas of business are Cyprus Law, Civil Litigation, Commercial Property, Commercial Loans, Contested Probates and Estates, Professional Negligence and Contracts. Our offices are conveniently located near the High Courts of Justice in the Strand and the Inns of Court which are traditionally based at Temple, Lincolns Inn and Grays Inn, and in the heart of Londons Legal Publishing District.